The San Jose Sharks have signed forward Barclay Goodrow to a two-year contract extension. Goodrow was scheduled to become a restricted free agent next offseason, and would have been eligible for arbitration. The deal will carry a $925K cap hit, paying Goodrow slightly more in the first year according to Kevin Kurz of The Athletic. Goodrow, 25, played in 47 games for the Sharks last season, the first of his career in which he didn’t spend any time in the minor leagues. That trend was set to continue this year after suiting up for the team’s opener last night and playing just under nine minutes. Now waiver eligible, the team is using Goodrow as a fourth-line center and penalty killing option but likely hoping to get some of the offense that he’s produced in the AHL. In his two seasons with the San Jose Barracuda, the undrafted forward scored 45 goals and 84 points in 118 games, playing in all situations. Earning just $650K this season, Goodrow is an inexpensive roster option for the Sharks who have little cap space after acquiring Erik Karlsson. The team, who believe they can contend for the Stanley Cup this season, will need all the space they can get if they’re to make any additions at the deadline. They’ll also need plenty of room if they intend on re-signing Karlsson, Joe Pavelski, Joe Thornton, Joonas Donskoi and Marcus Sorensen next summer, as all five are scheduled to become unrestricted free agents. Deals like this one guarantee that the team can fill the bottom part of their roster with inexpensive but effective options, and allows GM Doug Wilson to hand out long-term big money contracts to his veteran players. As is typically the case, Saturday will be a busy day around the league with nine games on tap so there is bound to be a fair bit of roster shuffling. We’ll keep tabs on those moves here. St. Louis announced that they have recalled defenseman Jake Walman from Chicago of the AHL. To make room for him on the roster, they have transferred blueliner Vince Dunn (illness) to injured reserve. Walman, one of the better prospects for the Blues, is in his first full professional campaign and has 13 points (2-11-13) in 34 games at the minor league level this season. The Senators revealed via Twitter that they have called up center Colin White from AHL Belleville. This will be his first stint with the team this season; although he was expected to contend for a roster spot in training camp, he broke his wrist early on which set things back. His first season at the minor league level has been rather bumpy as he has 13 points (5-8-13) in 27 games to go along with a team-worst -15 rating. White is expected to take the place of Nate Thompson, who was injured on Friday night against San Jose. The Capitals have brought back defenseman Madison Bowey and winger Jakub Vrana from Hershey (AHL), via the AHL’s transactions page. Neither move comes as a surprise as they were just sent down yesterday in an effort to free up a little bit more cap space. For perspective, it’s the fourth time they’ve been sent back and forth since December 17th. The Islanders annouced (Twitter link) that they have recalled winger Anthony Beauvillier from AHL Bridgeport on an emergency basis. The move comes on the heels of New York losing both Josh Bailey and Andrew Ladd to injury last night. The 2o-year-old has spent the majority of the season with the Isles, picking up four goals and three assists in 31 games. He has a pair of goals in two minor league contests. 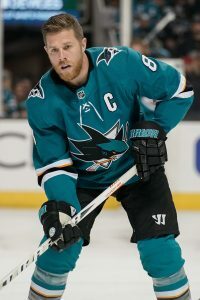 The San Jose Sharks activated winger Barclay Goodrow from injured reserve late last night and assigned winger Marcus Sorensen to the San Jose Barracuda, according to Elite Prospects. Goodrow has been in and out of the lineup with a lower-body injury for a couple of months now. He has two goals and two assists in 10 games this year. The 25-year-old Sorensen had three goals in 13 games for the Sharks this season. He has five goals and nine assists in 17 games for the Barracuda.